Have you ever seen the film Ramen Girl? If I'm being honest, it's a terrible film but it really does sum up the philosophy of ramen: it makes you feel good. A few weeks ago, I bought a whole roast chicken from the supermarket and decided to boil up the carcass to make a stock; I used this as a base for my chicken ramen. To save time, you could just use a low sodium chicken stock cube or a vegetable one for a vegetarian version. Add veg to the chicken stock and bring to a slow boil. Simmer for 15 minutes. Meanwhile, cook the ramen noodles for 5 minutes (as instructed). Drain and rinse with cold water. Add the chicken to the stock and veg along with some salt and pepper, cooking on a medium heat for 3 minutes before adding the noodles. Cook for a further minute or so. 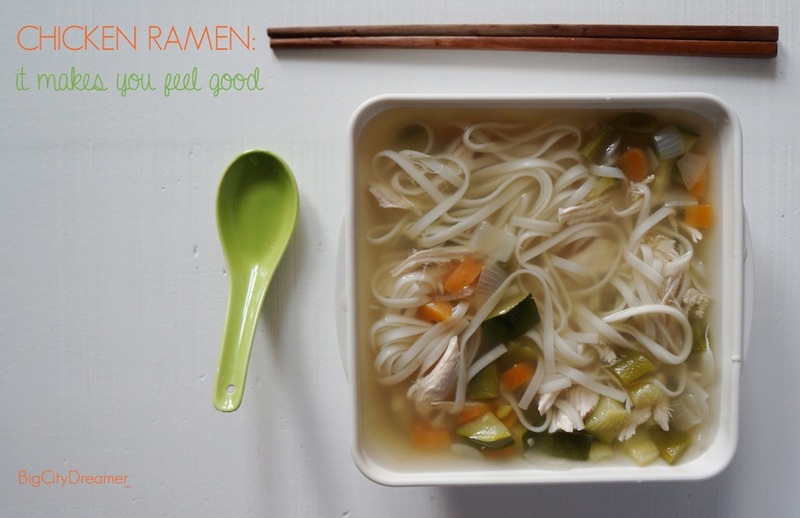 Serve in a large bowl with a ramen spoon and chopsticks! I always manage to finish it all though (without lifting the bowl to my face... even though I'm always tempted)! 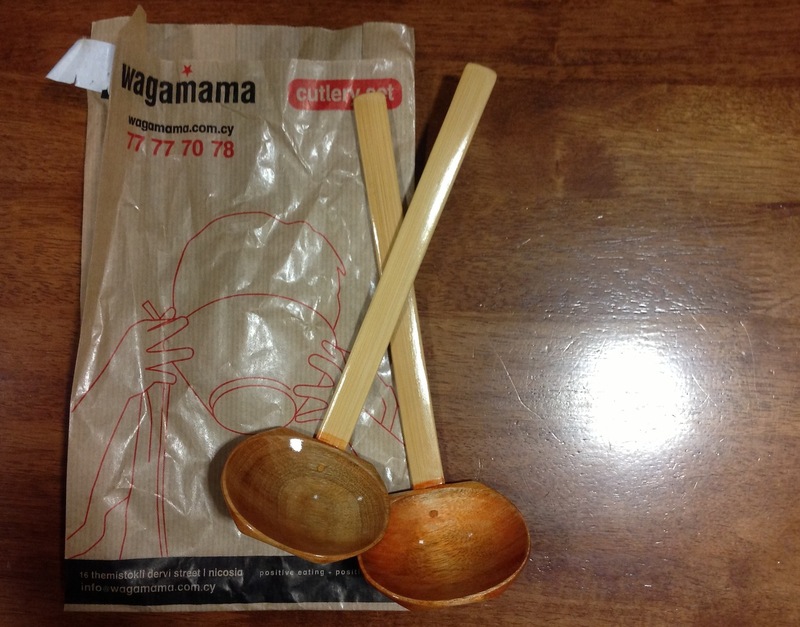 When I went to Wagamamas yesterday in Nicosia, I realised you could buy these bowls and spoons! I already have large bowls in my house so I decided just to get two of the spoons (they were only €2.50 each); knowing me, i'll probably use them to drink my hot chocolate...no joke! Have you tried Chicken Ramen? Do you not agree that it somehow manages to make you feel good? 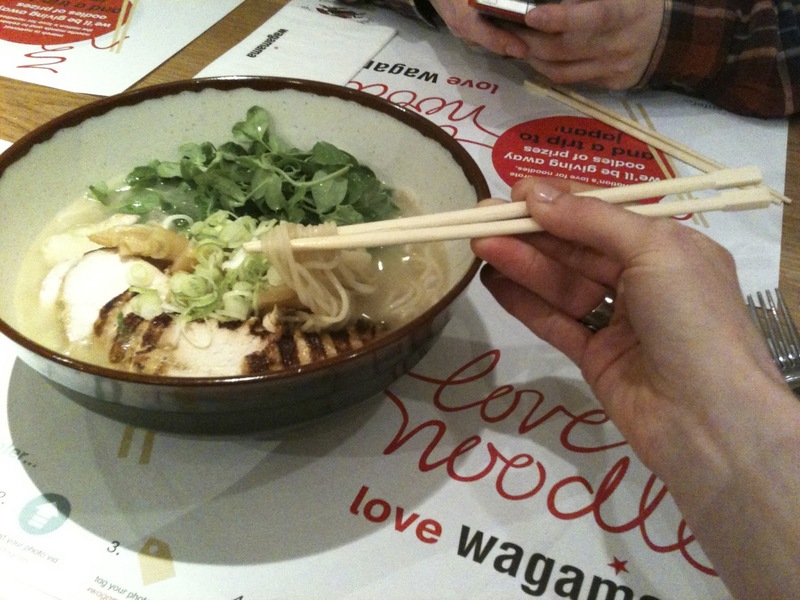 Have you been to Wagamama's? What's your favourite dish?